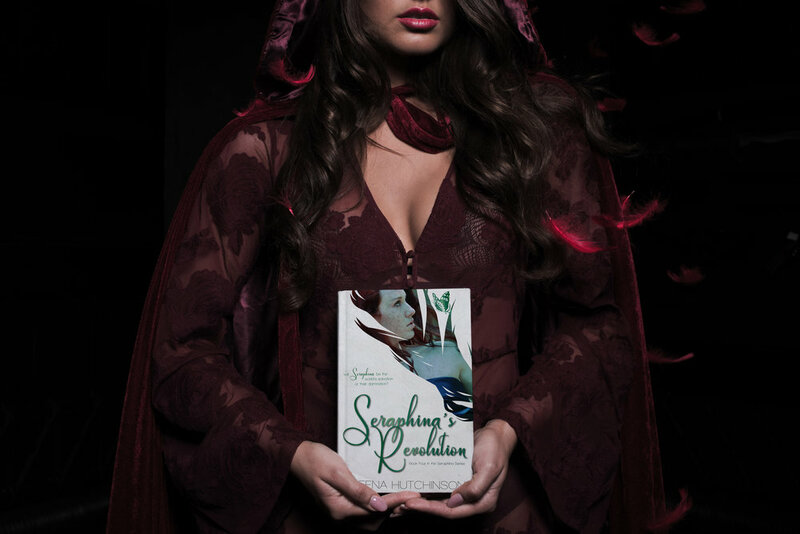 Writing Update & A Seraphina Teaser! I survived the winter in Maine, only to melt away this summer! Just kidding. I'm in the air conditioning finishing Seraphina's Revolution. YES! I'm still working on it. There has been a few delays, I got married, we're buying a house, and I've started working full time again so nights and weekends (when I'm not watching my step kid) are when I get get down to business. Honest truth time, we are probably looking at September 2018 for release now. I KNOW! I'm upset too. There's just a few kinks I need to work out in the pacing before I can release to my editor. I want this final book to be kick @$$ for you guys for waiting so long. With a cat like stealth he approaches her from behind. His arms extend and wrap around her neck. She jumps in surprise, but she doesn’t hesitate in bending forward and tossing him to the floor. “Are you trying to test me Nathanael?” she circles him beneath her. “Dummies can’t fight back,” he musters as he leaps to his feet in one motion. “Ouch, no faith,” he circles her back before running at her. She bows tossing him over her back once more. On the floor, he twists swinging his legs out and kicks hers out from under her. Seraphina back flips before touching the floor. Wow, she has been getting better with all this practice. He climbs to his feet and they fly toward each other. Punches are thrown and blocked until their arms are locked behind each other. “I’ve learned how to fight without using power.” Her eyes stare him down and pin him in place. Nate has broken out in a sheen sweat coating his whole body and his arms begin to shake. Seraphina is a lot stronger than him that much is embarrassingly apparent. “And your biggest fault is that you always play by the rules.” She smirks. But it was too late, Seraphina had already shifted under his arms and her knee rises between his legs. Pain. Terrible pain that extends all the way up into his gut echoes through him. Nate collapses to the basement floor grabbing his man parts. Seraphina’s hand covers her muffled giggles. “Oww, why are you laughing? This is so painful.” Nate tosses and turns on the floor the pain rising into his abdomen. It feels as if his whole insides have shifted, his head grows light and nausea starts to set in. “I …” he struggles swallowing down bile, “never in my centuries of fighting have ever been hit here.” He whimpers.